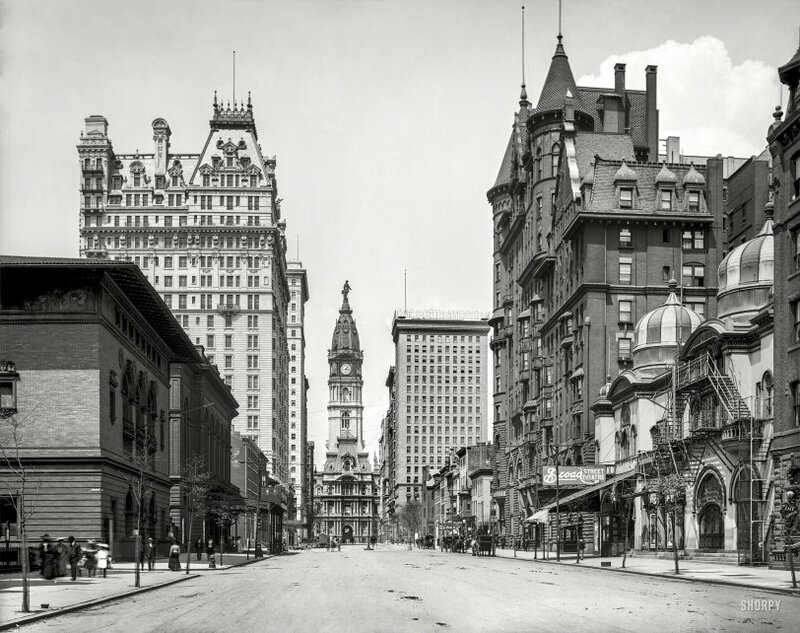 Philadelphia circa 1904. 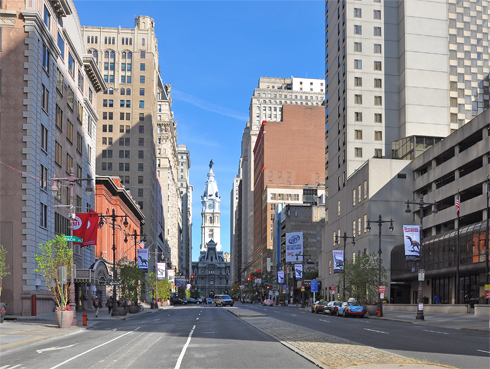 "City Hall clock tower from South Broad Street." 8x10 inch glass negative, Detroit Photographic Company. View full size. Submitted by dwig on Wed, 04/18/2018 - 9:36am. The large "white" building on the left, at 200 S. Broad Street, is the brand new Bellevue-Stratford Hotel. It became the focus of national news 72 years later when Legionella bacteria were identified and the pneumonia caused by the various types of Legionella acquired the name "Legionnaires' disease". Ownership changes after the original Bellevue-Stratford closed, a result of the Legionnaires' disease episode, have brought a series of name changes. Submitted by TimeAndAgainPhoto on Wed, 04/18/2018 - 5:21am.